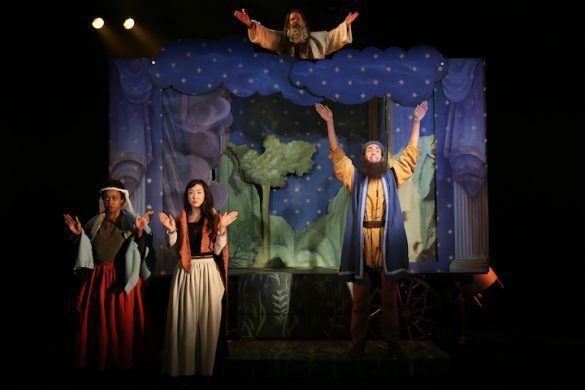 Plays about the Holocaust, like the recent Vilna, usually concern Jewish suffering. However, British playwright Stephen Unwin’s dramatically shaky but emotionally disturbing All Our Children, like Martin Sherman’s Bent (1975), discloses a horrific aspect of Nazi cruelty having nothing to do with the Jews. Bent deals with the persecution of homosexuals; All Our Children zeroes in on the euthanizing of the disabled, “lives unworthy of life,” as they were declared. 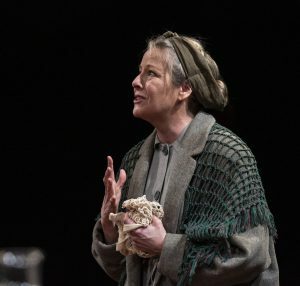 Unwin uses this barbaric issue of “mercy deaths” for a drama that, unfortunately, is more valuable as a history lesson (albeit with contemporary relevance) than as consistently engrossing theater. Hundreds of thousands fell victim to the Aktion T4 program, many of them children, with barely any public outcry. One of the few protesting voices was the unlikely one of nobleman Clemens von Galen (John Glover, Love! Valour! Compassion! ), the Bishop of Munster. The so-called Lion of Munster was an anti-democratic, arch-conservative, and early Hitler supporter who grew disillusioned with the Nazis’ immorality. His courageous sermons probably contributed to the policy’s ending, in August 1941. 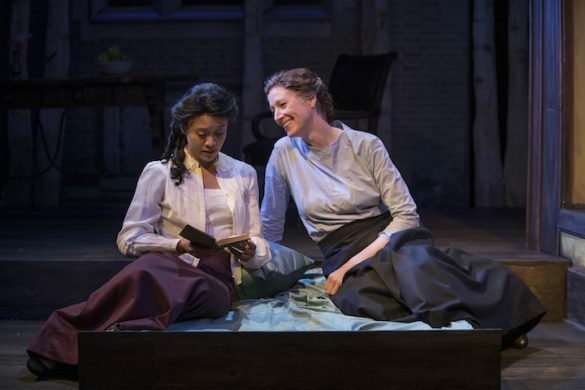 How does one dramatize so powerful a subject in a 90-minute, intermissionless play? Unwin’s solution is to craft two acts, in the first of which he describes the situation via several fictional people. One is Dr. Victor Franz (Karl Kenzler, You Can’t Take It with You, solemn), a pediatrician who runs a clinic for disabled youths and who’s charged with selecting those for extermination. 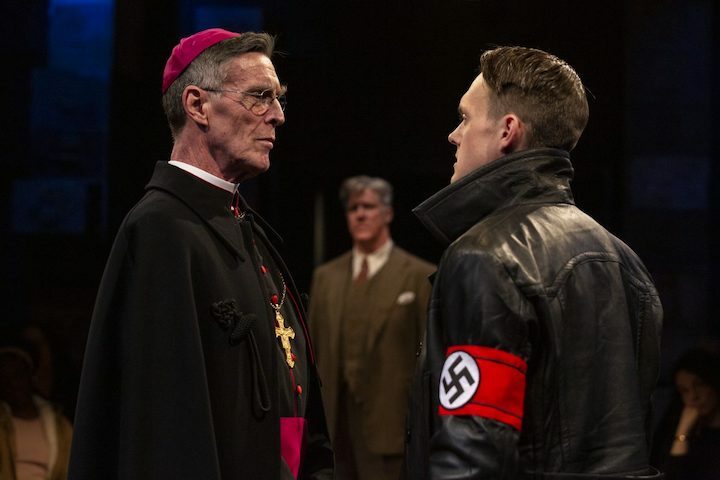 In the second, Unwin imagines a debate about the program’s morality between the fictional doctor and the real Bishop von Galen. You have to read the author’s note to learn of the policy’s demise and of von Galen’s fate. Everything transpires in Franz’s office in Winkelheim, near Cologne, in early January 1941. We meet his faithful maid, Martha (Jennifer Dundas, Arcadia, earnest); the fanatical, young Nazi administrator of the local program, Eric Schmidt (Sam Lilja, The Iceman Cometh, creepy); and Elizabetta (Tasha Lawrence, Pipeline, emotional), a mother whose son is in Franz’s care. In a situation that seems extraneous, Martha is upset by the callous Schmidt’s predatory sexual interest in her 15-year-old daughter. Schmidt is determined to see the possibly wavering doctor carry out his duties. Elizabetta, who offers the play’s sole, impassioned scene, is frightened about the fate of her beloved son. And the chain-smoking, always-coughing doctor is concerned not only about his mortality but his morality. Halfway through, von Galen sweeps in and the issues are laid bare. Franz, seeing no way out, confronts the imposing bishop, captured with impeccable distinction by the tall, lanky, high-cheekboned Glover, in black robes and red skull cap. Although some mention of the bishop’s position on the Jews is made, the heart of the discussion is the disposition of the invalids. Franz’s specious talking points—which he forces himself to believe—refer to the economic benefits of gassing the patients, whom he argues don’t even understand their situation, and the kindness with which they’re dispatched. As various horrendous facts are elicited, von Galen can do little but question the atheistic doctor’s feelings, express his Christian empathy, note his disgust, and argue for the value of human life, all things that brook no dispute, regardless of one’s religion. The result is a one-sided debate that, for all its implicit interest, barely catches emotive fire. A sharper note is struck when von Galen questions Schmidt, who responds with chilling disdain for those the bishop defends, “the scroungers, the useless feeders,” and so on. He also disparages “the Jews. The Reds. The Queers.” We’ve heard this stuff before but it’s hard not to catch how closely it echoes what we increasingly hear nowadays. All Our Children, first presented in 2017 at London’s Jermyn Street Theatre, is efficiently directed by Ethan McSweeny. The actors, in period costumes by Tracy Christensen, are close enough to touch on designer Lee Savage’s intimate, theatre-in-the-round stage, with piles of ghostly file cabinets surrounding the space and eerily lit by Scott Bolman. While All Our Children shines a light on yet another Nazi outrage, it also reminds us of the fascism growing all around us.